A hotel established in 1872 at a teamster’s camp where the road north crossed Sandy Creek, soon developed into a town officially called “Gallanani”, which is said to be an Aboriginal name for Eastern Swamp Hen. When the railway arrived in 1886 the town continued as ‘Gallanani’ and the station was called Esk. The town was then known as ‘The Railway Town of Esk’, and was officially changed to Esk in 1913. The township of Esk is nestled below Glen Rock, which provides a setting that is picture perfect for the budding photographer, as do many of our parks and historical buildings throughout the town. 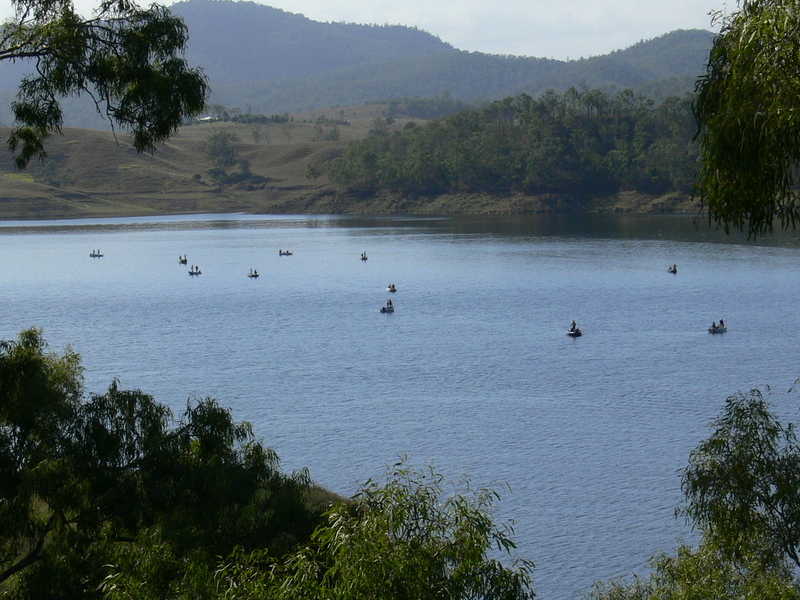 Beautiful views of Lake Wivenhoe and many of the surrounding mountains can be seen from our lookout at the top of Highland Street, which gives you a wonderful insight into our proud little town. Explore the antique shops and local crafts while strolling down Esk’s historical main street or enjoy a meal at one of the town’s many eateries. To really experience Esk and get to know the locals, plan your trip during one of the many exciting events through the year.